What is it about baseball that leaves writers reaching for myth and allegory? The game is slow, meandering. It takes its sweet time. Very often, not a whole lot happens. Indeed, the corporate types at the game’s controls keep scratching their heads for ways to speed things up, move things along: a pitch clock, a time-limit on trips to the mound, and on and on. But they ignore the eternity at the heart of the game. In theory, a baseball game could go on forever and ever. A single at-bat, forever and ever. Within the right angle of the foul lines, extending from home plate to the outfield fences and into the great wide open beyond, a batted ball can cut across the night sky and land just about anywhere, and if a fleet-footed outfielder is able to channel his inner gecko and scale the wall and chase down that ball to where it might fall softly into his outstretched glove, there is room for that outcome as well. Alas, the game is not bound by time, and hardly at all by space, and isn’t that the nut of it? Isn’t that the sweet point of pause and possibility that keeps us coming back for more, and more, and then some? The death last month of W.P. Kinsella, widely regarded as baseball’s novelist laureate, offers an opportunity to reflect on how we see our own reflections in the national pastime — with a tip of the ball cap to writers like Kinsella who continue to encourage us to consider the stories of the game as we consider the game itself. What is it about baseball? The curious magic of Kinsella was that he found room in the wide open spaces of the game to consider that anything was possible — and, on the strength of that magic, to knit the past to the present, the present to the future. In Shoeless Joe, he reaches back across the decades to revisit the aborted career of Archibald Wright “Moonlight” Graham, after stumbling across Graham’s unlikely one-game stat line in the Baseball Encyclopedia and placing it at the cross-hairs of meaning and moment in a wistful story about a son reconnecting with the memory of his father. In The Iowa Baseball Confederacy,” he imagines an apparently endless game between the 1908 Chicago Cubs and a barnstorming team of amateurs, inviting readers to join him on a head-scratching, heart-pleasing journey that asks us to ponder baseball’s everlastingness. In “The Last Pennant Before Armageddon”, he tells the story of a Chicago Cubs manager named Al Tiller, who believes the world will come to a cataclysmic end the moment his Cubbies win the pennant, which in the sure hands of Kinsella (and, his somewhat less certain fictional skipper) they seem inclined to do. How is it that a game built on its very timelessness can offer such a chilling reminder of our own mortality? When the baseball world mourned the sad, sudden death of the joyfully talented young Cuban pitcher José Fernández, barely a week after Kinsella’s passing, there was beneath the mourning a kind of shared sense that our own lives were slipping away from us. Here was this abundantly gifted kid pitcher, snatched from a career destined for baseball immortality, with a back-story that seemed scripted by saccharine-fueled Hollywood scriptwriters: a Cuban defector who’d grown up dreaming of someday playing major league baseball; who’d only made it to American shores after three unsuccessful attempts; who’d been jailed by Cuban officials after each of those attempts; who’d rescued his own mother from the turbulence of the Atlantic Ocean during his fourth (ultimately, successful) crossing to America; who’d recovered from Tommy John surgery to become one of the game’s dominant pitchers; who’d played the game with such abandon and intention that even casual fans were drawn to him, lifted by him, cheered; who’d just announced that his girlfriend was pregnant with the couple’s first child. And yet, back-story or no, triumph or no, unborn baby or no, José Fernández was killed in an as yet unexplained (and, as ever, unfathomable) boating accident off Miami Beach at the age of 24. As the baseball world wept, those of us in on the weeping hugged our children and grandchildren close, honored our parents and grandparents, and looked back with equal parts gladness and sadness at the hopes and dreams we’d carried in our own lives. Some of us got out our old baseball gloves and tossed the ball around with our kids. We looked at old baseball cards, scorecards. We revisited Kinsella’s stories. Because in the short life and tragic death of this young ballplayer there was the stuff of our own lives, our own tragic deaths, and in the moments of silence that filled our ball yards that day and the next there was a kind of safe haven within the boundaries of the game. Baseball can do that, I guess. It can remind you of everything that once mattered to you, everything that matters still. It can brush the great promise of tomorrow against the agreeable sting of the past, and the sorrows of today. Kinsella was not alone on the baseball bookshelf. He’d fallen into line behind the great legacies of writers like Ring Lardner (You Know Me, Al), Bernard Malamud (The Natural), Philip Roth (The Great American Novel), Robert Coover (The Universal Baseball Association, Inc: J. Henry Waugh, Prop. ), even Don DeLillo (Underworld), who all seemed to understand the stirring, soaring confluence of miracle and wonder at the heart of the game. But it was Kinsella’s ability to cast the game alongside a swirl of human emotion that will keep us reading his stories for generations, and when I learned of his death it felt to me like a light had gone out on the game itself. I was not alone in this, of course, and yet I closed my eyes to the news and imagined how a generation of baseball fans — my generation — would manage to connect the game to generations to come. Fernández, as well, was not alone. He now shares space on the game’s memorial plaque with too, too many young ballplayers who left this world before their games were finished. The turn-of-the-century Hall of Famer Ed Delahanty, who plunged to his death in the cascading waters of Niagara Falls. The Puerto Rican icon Roberto Clemente, killed in a plane crash while on a relief mission to aid earthquake victims in Nicaragua. The great Yankee catcher and captain Thurman Munson, downed in his own plane, which he had bought and learned to fly so that he might spend more time more easily with his family. The Cardinals ace Darryl Kile, who succumbed to a heart attack in his hotel room before a game against the Cubs. With the passing of Fernández, another bulb has been burned on the stanchions that light our game, while we are left to find our way just the same. Who but Kinsella could help us find poetry and purpose in a centuries-old game that many people believe has outlived its relevance? Who could implore us to go the distance and fulfill our destinies, great and small? Without him, how will we elevate the long march of a baseball season onto the mystical plane where Kinsella asked us to slide along on our own fine film of dust and possibility? Let’s be clear, there are baseball novels still to be written. There are games still to be played. Somewhere in this country, or in Cuba, or Puerto Rico, or the Dominican Republic, there is an unborn child who will change the game of baseball — in ways we cannot yet imagine. In the great white north of Kinsella’s Canada, there is a young writer sharpening his or her pen and looking to change how we see the game of baseball — in ways we can only imagine. But it was Kinsella who tore the cowhide from the game and allowed us to peek at the very real lives it contained. There was triumph there. There was disappointment. There was the thrill of fresh cut grass and the soft fall of lament when the skies opened up and rained down on us. There were changes in plans. Because, at bottom, the nature of the game is the nature of ourselves. It is a living, breathing thing. It bends and endures…and, it asks us to do the same. And so, as we unwrap October and settle in for the 2016 World Series, let’s pause to feel the loss of one of the game’s favorite sons. Allow yourself a sliver of a moment to chew on the very real possibility of a very real Armageddon, owing to the Cubbies’ fine, fine post-season run. Savor the grace note moments to come in these October games. You will sit glued to your screens (more than likely into the wee-hours), waiting for some sort of final accounting on the season just ended, looking ahead to the season to come, and to all the seasons to come. Daniel Paisner has written more than 60 books, many of them about our national pastime. He is co-author of Nobody's Perfect with Armando Galarraga and Jim Joyce; and The Complete Game and Game 7, 1986 with Ron Darling. His account of the aftermath of the 1998 season, The Ball: Mark McGwire's 70th Home Run Ball and the Marketing of the American Dream, was hailed by the editors of Amazon.com as one of the best sports books of the year. His most recent novel -- A Single Happened Thing, from Relegation Books -- re-imagines the life (and death) of Fred "Sure Shot" Dunlap, one of baseball's forgotten greats. Find him at www.danielpaisner.com, or on Twitter at @DanielPaisner. Baseball… will it ever end? So, while I was at work yesterday, I finally picked up Moneyball by Michael Lewis. This book has been in stores for a while, and yet people continue to talk about it in glowing terms, so I decided I ought to take a look. Considering that this is a book about baseball, I was surprised that people have continued to talk about it even though it’s been out for two months. Usually baseball books interest only the baseball fans who read them, and that’s that. Moneyball, however, appears to transcend the ghetto of sports literature. I manged to breeze through about a hundred pages yesterday, and I have to say, I can’t wait to get back to reading it. The interesting thing about this book is that in discussing the mini revolution that has occurred in the business of baseball, it touches upon a variety of disperate topics. This book is a must read for baseball fans, but it should also be read by anyone who is interested in economics and psychology, as well as by anyone who enjoys a good character-driven, non-fiction book. It’s good stuff. Heim was a man who literally seemed to have more hours in the day than the rest of us. He was someone who pushed for greater visibility of translation in the larger world of American letters, who supported and nurtured would-be translators with every free minute. My soon-to-be-father-in-law has a huge collection of radio programs that he has taped and cataloged over the last two or three decades, and recently he gave me a couple of interesting tapes from the late 80’s. They contain a recorded performance of a baseball-themed show put on by the late baseball commissioner A. Bartlett Giamatti and one of my favorite writers, Roger Angell. The show, which is about two hours long, consists of readings of baseball essays, stories, and poetry. The work of John Updike is represented as is that of Garrison Keillor. 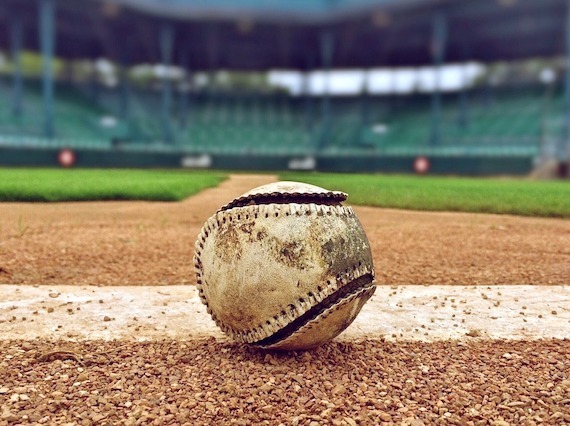 I was most interested in an excerpt from a book called The Glory of Their Times: The Story of Baseball Told By the Men Who Played It, a book that was put together by Lawrence Ritter, an economics professor at NYU. Ritter also happens to be a baseball fan, and shortly after Ty Cobb’s death in 1961, inspired by the outpouring of myth and legend that occasioned Cobb’s passing, Ritter decided to record for posterity an oral history of the early years of professional baseball. Over the next several years Ritter traveled 75,000 miles, crisscrossing the country, tape recorder in hand, seeking out the game’s grizzled veterans. The result is a book that is, I am now learning, cherished by aficionados of baseball literature, and since, I suppose, I must consider myself a member of this group, my copy should be arriving via post shortly.An AddendaI knew I had forgotten at least one of the books I read last year, and I think I forgot because I didn’t actually read it; I listened to it. Thanks to a friend who gave me a copy, Positively Fifth Street: Murderers, Cheetahs, and Binion’s World Series of Poker by James McManus was my driving companion for a week or so, which both doubled my reading output and made that much more tolerable the vast amount of time that I, like any Angeleno, must spend in his car.